MP Vyapam Forest Guard Result 2016 (Final) had been declared now. 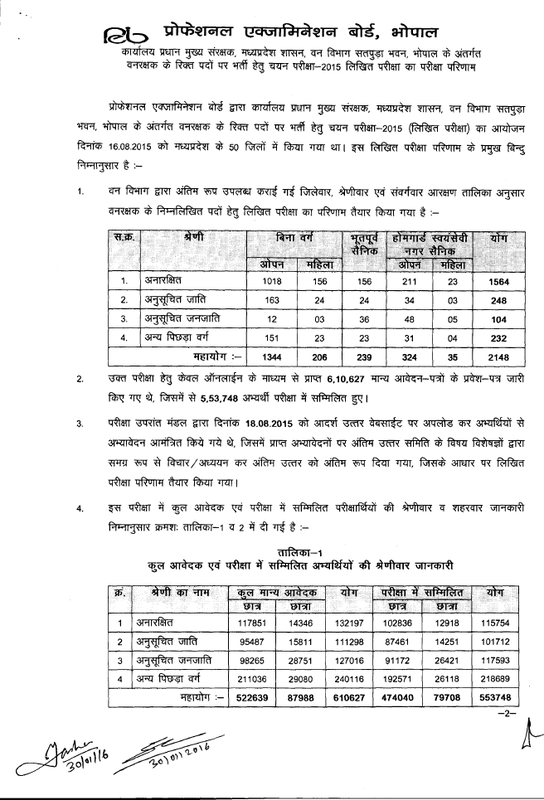 You can check MP Forest Guard Recruitment Test results Final Exam Merit list Cut off from here. Madhya Pradesh Professional Recruitment & Promotion Board (MPPEB) had conducted a written exam on 16 August 2015 for Forest Guard (Vanrakshak) posts. Total 553748 candidates have appeared for this recruitment test. 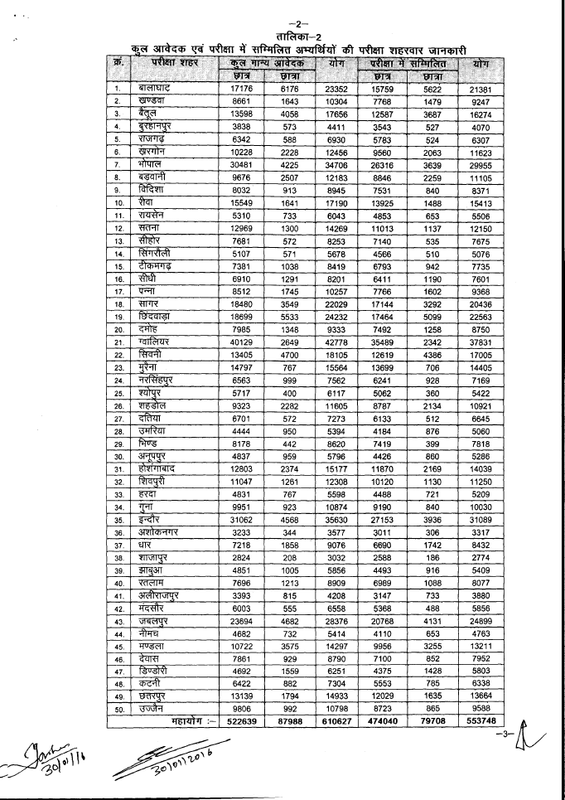 The written exam is organized at 50 centres in Madhya Pradesh. Many number of candidates have appeared for this test. 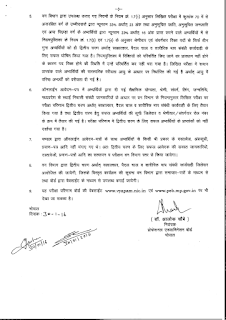 You can check MP Vyapam Forest Guard Exam result now. MP Vyapam had announced the Final Result of Forest Guard Examination. You can check the details of no. of appeared candidates and shortlisted candidates from below given image. MP Vyapam Vanrakshak result had been announced now. Result date: 30 January 2016. 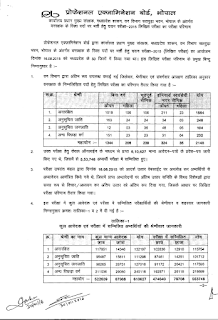 Earlier, MP Forest department had invited applications for these posts. Eligible candidates can apply for 29 April to 28 May 2015. The test organized at various centres on 16.08.2015 from 10:00 am to 12:15 pm. Madhya Pradesh Professional Examination Board (MPPEB) or MP Vyapam had organized Forest Guard (Forest Guard) exam for finding eligible candidates against 2400 posts. Now the results had been uploaded and you can find out marks obtained as well as qualifying status. 1. Visit the result link given above. 3. On the following page, enter your 8 digit roll no. and date of birth in DD/MM/YYYY format in the given fields and click on submit. Your MP Vyapam Forest Guard result will be displayed on the screen. Those who qualify the written test, will have to appear for Interview, walking and physical test which will be conducted district-wise. The detailed schedule regarding this will be available soon. 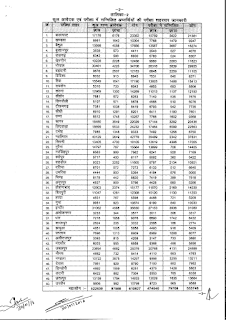 You can check the result of MP Forest Guard Exam from above link.